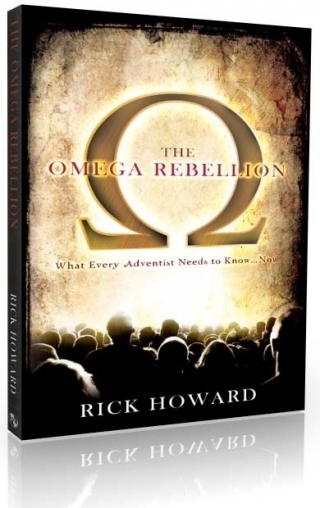 Summary: The following article contains excerpts from a number of chapters in the book Omega Rebellion by Rick Howard. Watch for presentations by Rick Howard on ADTV. To read the full text, order the book at www.amazingdiscoveries.org. We are about to examine a popular trend in Christianity today, a trend with characteristics that reveal its inherent danger. As we examine this new trend, we will discover that the only factor new about it is its name and that behind the name is the same old form of an ancient, supernatural, and satanic science: a science that Satan has used to deceive humanity throughout the ages. This book seeks to expose what may be the end-time omega from presently gaining a foothold in our beloved church, a circumstance surely to be avoided, as was the alpha. During the entire history of the great controversy, Satan’s greatest success has always been directly related to his ability to control the minds of those he ensnares without their awareness. When he can deceive those under his power into believing that God is working for them, when in truth it is he, he has won the day. This is the fundamental characteristics of the omega apostasy and is likely the reason it caused Ellen White to “tremble” when she beheld it: many leaders in God’s remnant church were carrying on what they perceived as the work of God, while, in fact, they were being directed by the prince of evil. The more closely Satan can appear Christ-like in both his behavior and his use of the supernatural, the greater is his ability to deceive. He is delighted to see the world perceiving him as some demonic being, a benefactor of evil and destruction, for then he knows his Christian disguise will be more effective. ...To understand this deception— how it works, why the Lord permits it, who will be deceived and why they will be deceived—it is essential to understand the intimate relationship that exists between the Lord and His bride, the church, the remnant church. ...Our understanding of why it is that those who will not heed the warnings God has given and who fall prey to the omega rests upon our comprehension of the importance and impact of inspiration, manifested in those words of truth and the dreadful results of its rejections. ...Think for a moment how it affects Jesus when we ignore the counsel contained in the Spirit of Prophecy. He inspired His messenger to write to His beloved bride expressions of His deepest love, a love beyond our understanding, a love that drove Him to the cross where He chose not to exist forever if we could not be with Him, if you could not be with Him. These writings also contain warnings and counsels to His beloved, of how to avoid being destroyed by the enemy. He gave His life for her and to lose her would result in unspeakable sorrow and pain, so when she ignores His counsel, refusing to heed His warnings, His heart is broken. He is being rejected by those He loves and gave His life for. We need to understand these things. To refuse the divine counsel is to be swept out of the church and into the omega deception. And so, it is time to identify this new trend we have been talking about: a new teaching or program, a new name in Christian circles. In this day and age it is called “spiritual formation,” a comforting and Christian-sounding term that fittingly suggests the growth and forming of Christian character—exactly what it is intended to imply. Martin Luther and Ignatius Loyola were contemporaries. Both were drawn to God by His spirit; both were convicted of the sin in their lives and both sought a way of escape from their guilty consciences through the power of God. Finding God and His power to bring them victory was at the core of their search. For reasons that will only be revealed in the judgment, they looked for that victory in different places. Martin Luther searched the Holy Scriptures and found the God of Creation, while Loyola searched the world of “spirits” and believed he found God in His creation. Luther learned that the power, for which he searched to gain Christian victory, was through simple faith in the promises of God found in the Holy Bible. He discovered that he must come to Scripture like a babe, accepting all, as if the God of heaven was standing before him speaking to him personally. Fundamentally speaking, he discovered that the Holy Bible is the unerring Word of God and is the standard of faith and doctrine for every true Christian, containing all the needed instruction for our salvation. Loyola, on the other hand, chose to suppress his guilty conscience, refusing to think any more of his sins. Instead of searching the Holy Bible, he sought enlightenment through the supernatural world, satisfying his own carnal propensities. He always desired to see God in everything, everywhere, all the time. This was the desire of his heart. “Inigo, instead of feeling that his remorse was sent to drive him to the foot of the cross, persuaded himself that these inward reproaches proceeded not from God, but from the devil; and he resolved never more to think of his sins, to erase them from his memory, and bury them in eternal oblivion. Luther turned toward Christ, Loyola only fell upon himself... visions came erelong to confirm Inigo in the convictions in which he had arrived... Inigo did not seek truth in the Holy Scriptures but imagined in their place immediate communication with the world of spirits...Luther, on taking his Doctors degree, had pledged his oath to holy scripture...Loyola at his time, bound himself to dreams and visions; and chimerical apparitions became the principle of his life and his faith.” JH Merle D’Aubigne, DD History of the Reformation of the 16th Century, 5 volumes in one. Grand Rapids, MI, Baker Bookhouse, reproduced from London 1846 edition in 1976, book 0. I discovered through study and the actual practice of meditative techniques that all the religions and occult theories that enabled their followers to contact the world of the supernatural used certain meditative practices that eventually led to an altered level of consciousness. I discovered that it was essential to learn these techniques to get to that certain mental level where I was able to contact the supernatural worlds. To leave my body in astral projection or to have any of numerous supernatural experiences, this unique corridor of the mind must be reached through certain meditative practices. These practices always involved a focusing of the mind on one thing to the exclusion of anything else. It could be reached by focusing on sounds such as music; or through chanting and repetition or recitation of words; through the sensation of touch; or the use of visual exercises. I learned that the most effective and most rapid method of attaining an altered level of consciousness was through the creation of mental images. By creating a mental image and sustaining that image, an altered state could rapidly be achieved. I discovered that there was a fascinating and mysterious occurrence that took place by all who learned how to enter an altered level of consciousness- silence. It is a place where the thoughts that usually flit across the conscious mind up to 60 times every second, slow down and eventually come to a stop. It is at that point that the devotee becomes an observer rather than a thinker and slips into that mysterious place of “repose” or “stillness” where awareness of reality is altered and the silence is attained, a supernatural and life-changing experience. ...It is when a person enters this silence that they are entering a place where the powers of evil angels can create whatever illusion they desire. ... What must be remembered is that we do not control the time when God communicates with us. He does. When we believe God is at our beck and call, by entering an altered state through the use of meditative or prayer techniques, we are deceiving ourselves and are committing the sin of presumption.